Keep it Cool (or Warm) with a Smart Thermostat! Smart thermostats are a great way to save on your energy bills and have the latest technology to control your home’s temperature. Smart thermostats learn your habits and adjust your home’s temperature automatically; you can also control temps manually with the touch of a button on your smartphone. Small luxuries like the air conditioning turning on before you get home from work and shut off as you drift off to dreamland can make a big difference in your life. 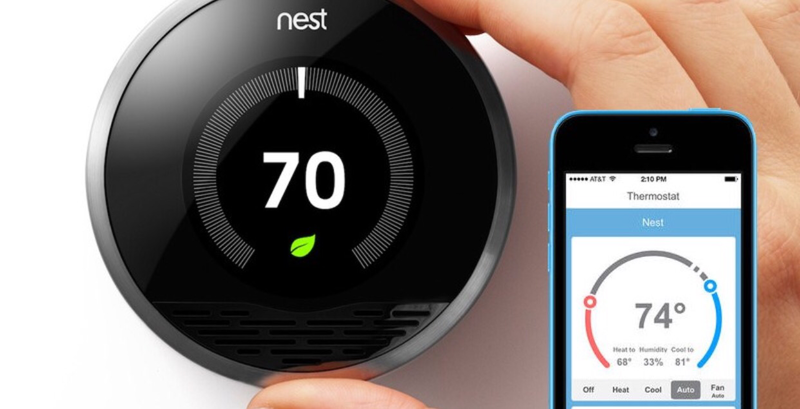 Nest is one of the popular options for a smart thermostat that connects to your smartphone and is easy to install.